Enough with the Furry Stitching already! It's bugs for me from now on! 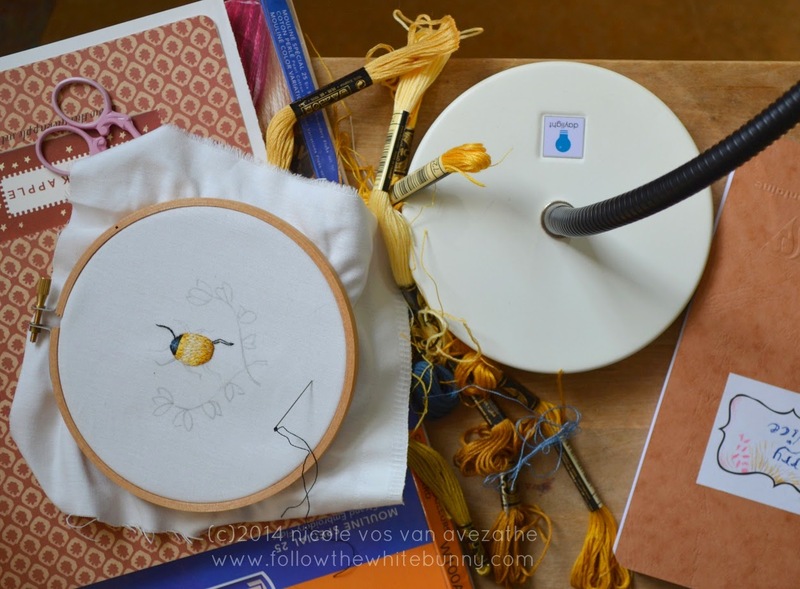 Well maybe not quite but I am enjoying stitching this little yellow beetle for my online 'Furry Nice' class. Obviously it's not furry but it's a little voluntary excursion for the students to get to know one of the techniques a bit better. I must admit that the thought crossed my mind that a Bug class would be nice too. Maybe next year? If you're interested in possibly enrolling in one of my future online Embroidery Classes then it's a good idea to sign up for my Newsletter! Like the idea of a bug class! And lot of inspiration now too, all the bugs coming to live after our no-freezing-too-warm winter...!